Transport Minister Loke Siew Fook (third from left) looking at the pieces of plane debris believed to be from the MH370 plane. 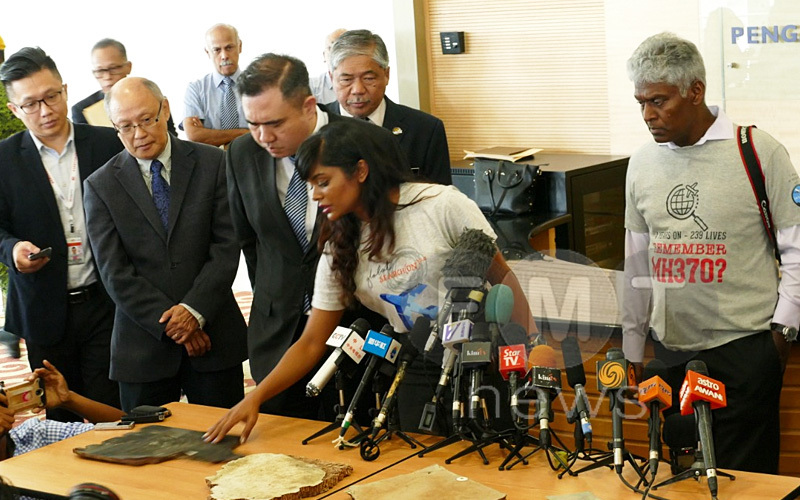 PUTRAJAYA: Relatives of people who went missing on Malaysia Airlines flight MH370 in 2014 handed over new pieces of debris said to be from the missing aircraft to Transport Minister Loke Siew Fook today. They said they were given the five pieces of debris by fishermen, believed to be from the floor panel of a Boeing 777, near Madagascar. “The real answer to MH370 is lying underwater. To get the real answers, we must go underwater. 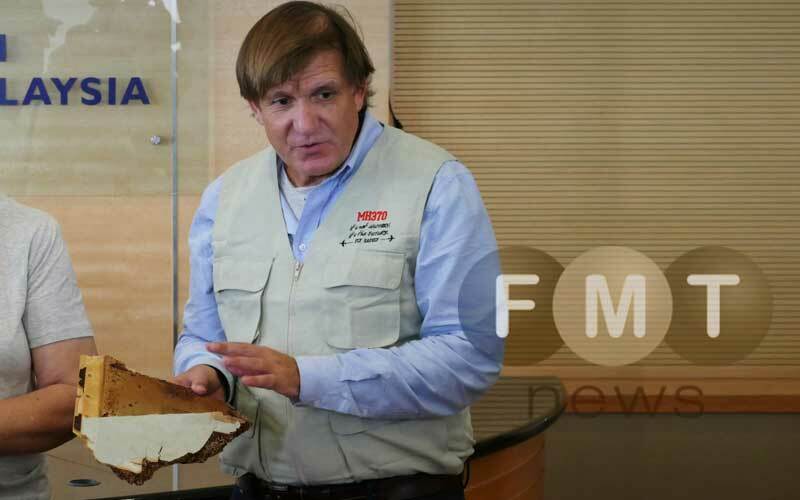 “However, each of these small pieces and personal effects can provide us a clue,” said US wreck hunter Blaine Gibson after handing over the parts to Loke along with some MH370 victims’ next-of-kin. Today’s meeting was organised by Voice 370, a group representing the relatives of those on the flight. US wreck hunter Blaine Gibson says every piece from the plane is a clue. Flight MH370, carrying 239 people on board, disappeared on its way from Kuala Lumpur to Beijing on March 8, 2014, and became one of the world’s greatest aviation mysteries. The deep-sea search mission carried out for almost three years by Australia, China and Malaysia to locate the missing aircraft in the Indian Ocean covered 120,000 sq km. It ended fruitlessly. Another mission carried out by Ocean Infinity, a US-based underwater exploration company, stopped on May 29 without any significant findings. In July, investigators released a 495-page report, saying the plane’s controls were likely deliberately manipulated to take it off course but they were not able to determine who was responsible. Prime Minister Dr Mahathir Mohamad had said in May that the country would consider resuming the search only if new clues come to light. Gibson, a self-styled investigator who has been described as an “Indiana Jones crusader”, has been credited with discovering over two dozen pieces of the plane. When asked by Gibson if he was open to another “no-find, no-fee” search contract, Loke said he was open to any possibility, provided there is credible evidence. Loke said the five items will be handed over to the team investigating MH370’s disappearance. Adib inquest puzzle: Why did ministry call its own expert? 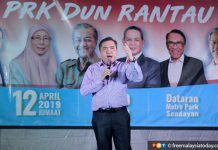 Is a river more important than Orang Asli children?